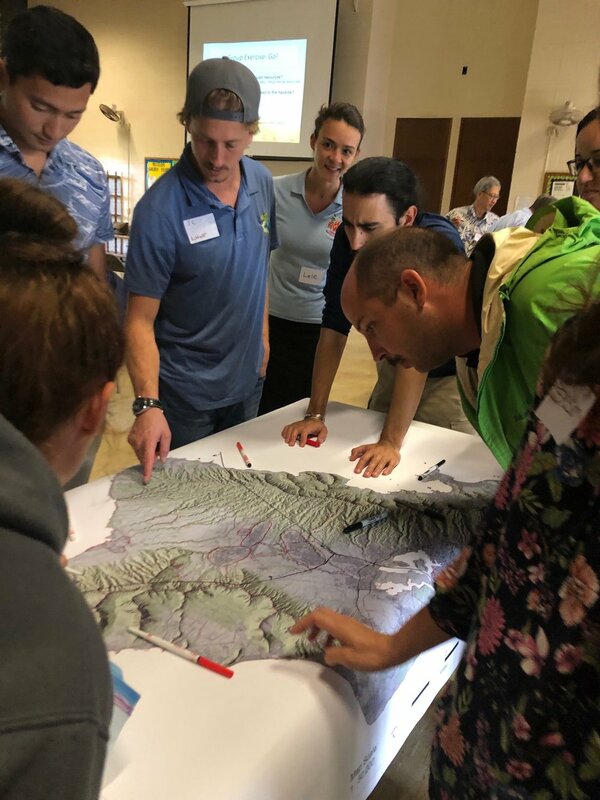 View of the North Shore from Dupont Pioneer in Waialua. 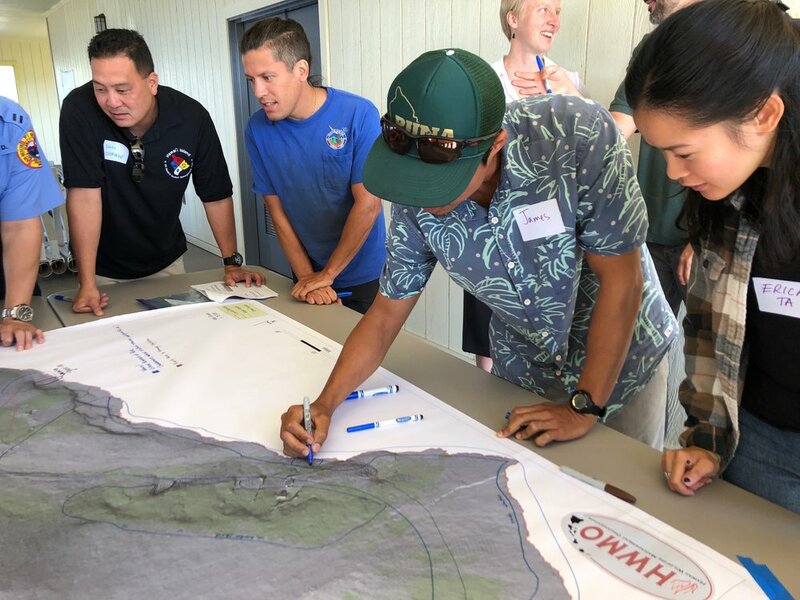 As a hub of wildfire protection efforts across the Hawaiian Islands, we are always looking for ways to bring people together to solve some of our most complex wicked problems. 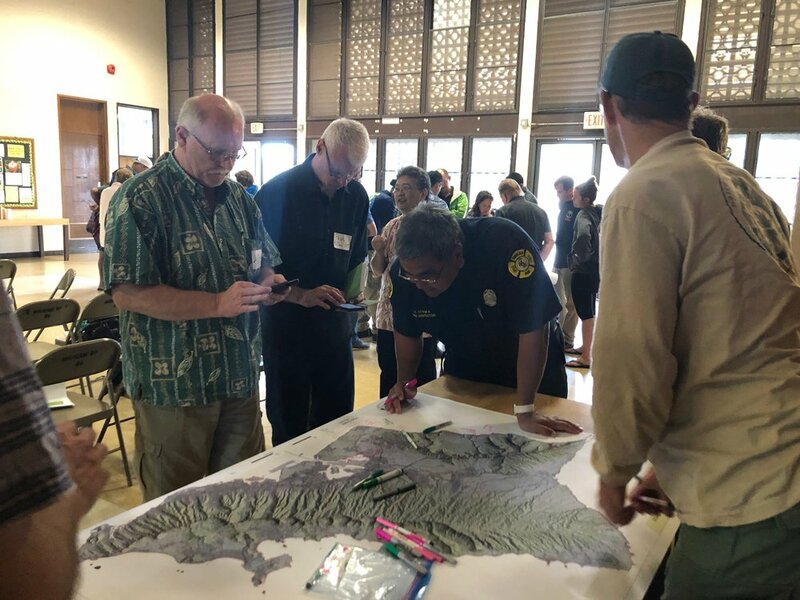 The Hawaiian Islands have been struggling with invasive species spread for decades, but now we are seeing what happens when invasive flammable plants take over the landscape and allow fires to spread more quickly and over larger areas. 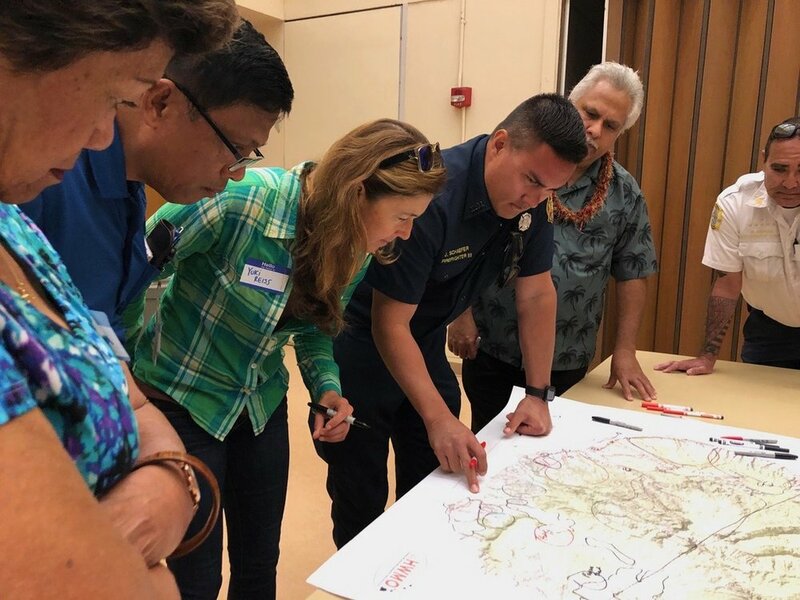 By controlling or managing flammable vegetation at the landscape-level, we can make great strides towards reducing the wildfire risk on our islands. 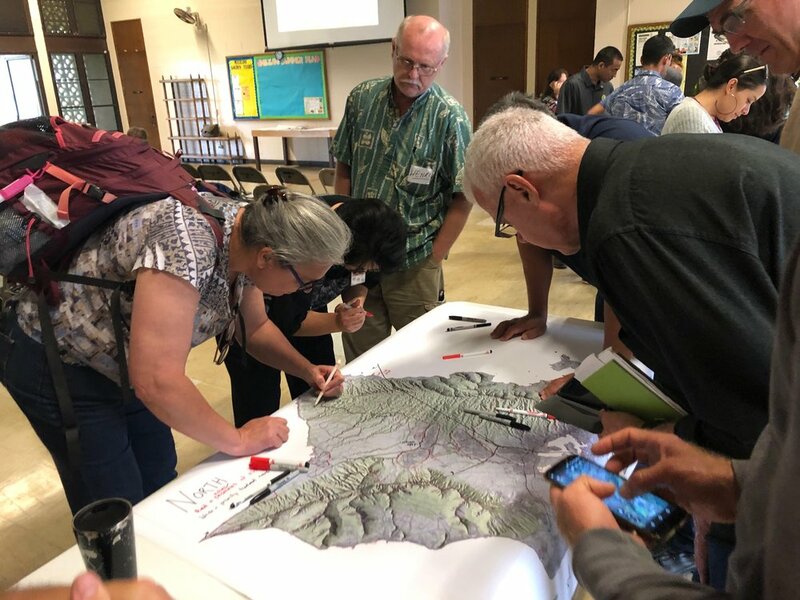 That’s why HWMO is coordinating a statewide vegetative fuels management mapping project — a rapid assessment to understand the vegetation management needs and priorities of landowners and land managers throughout the Hawaiian Islands. 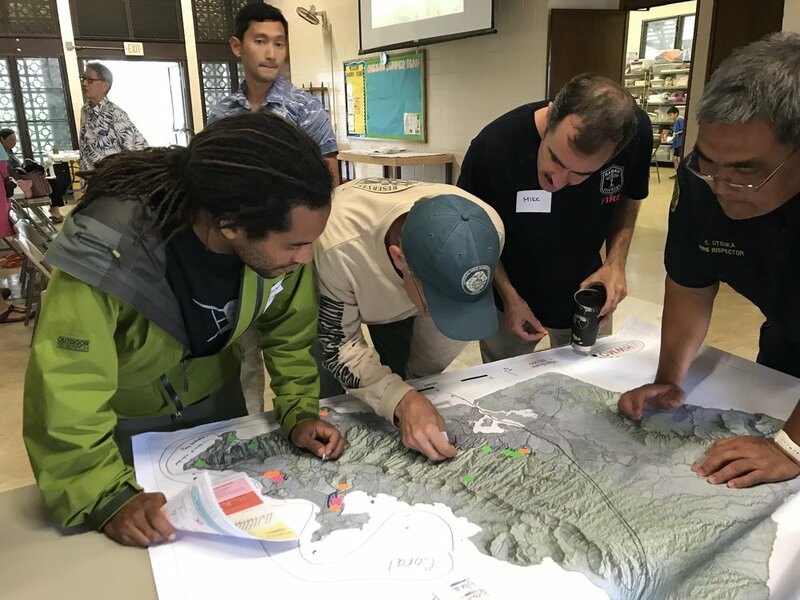 DLNR Division of Forestry and Wildlife and University of Hawaii CTAHR Cooperative Extension are key partners in the effort. 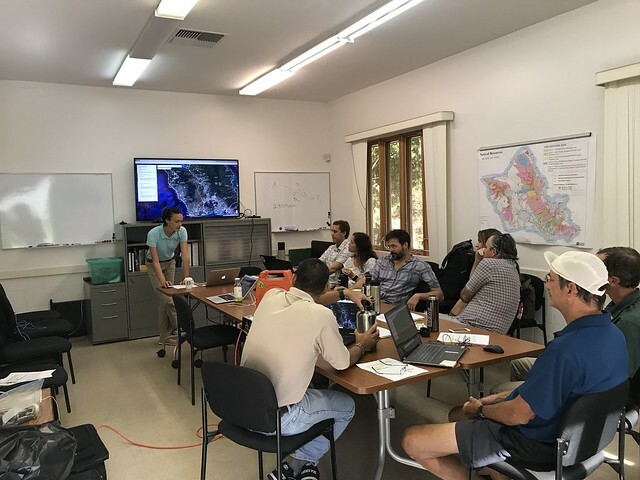 The vision for the project is that the resulting maps will lead to 1) better prioritization and communication of vegetative fuels management on the landscape-scale and 2) enhance project coordination between organizations and funding opportunities. 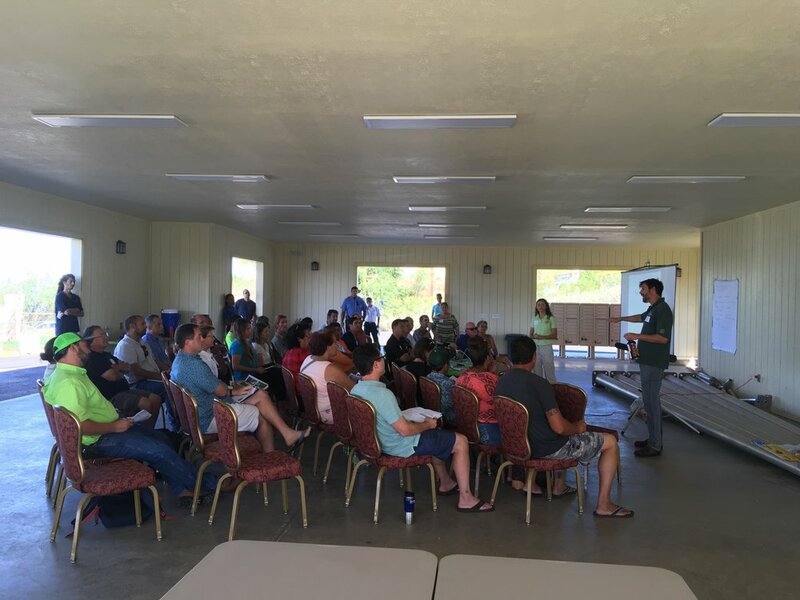 On December 14, we visited Dupont Pioneer in Waialua to map current and desired vegetation management activities. 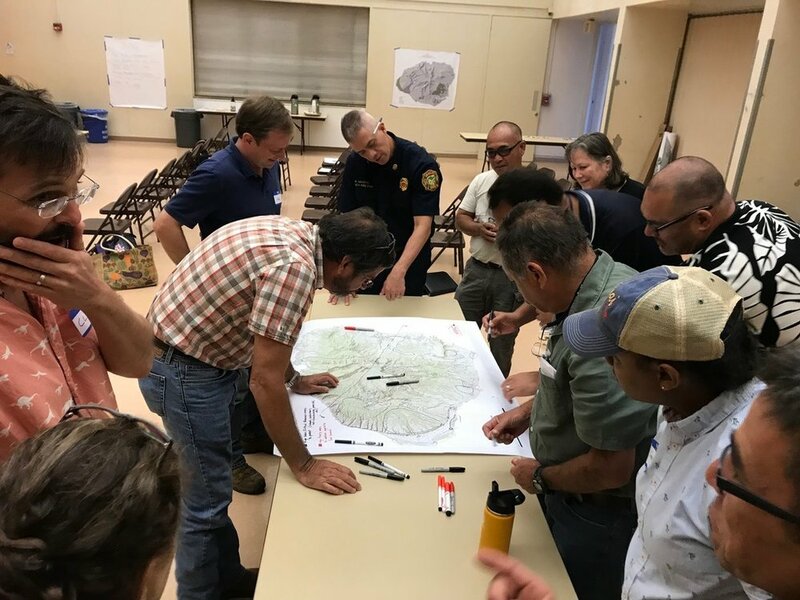 Activities could include any vegetation reduction or conversion projects such as roadside mowing, fuelbreaks, grazing rotations, clearing around structures or power poles, brush abatement or thinning, tree trimming, loi restoration, agriculture, and native forest restoration. 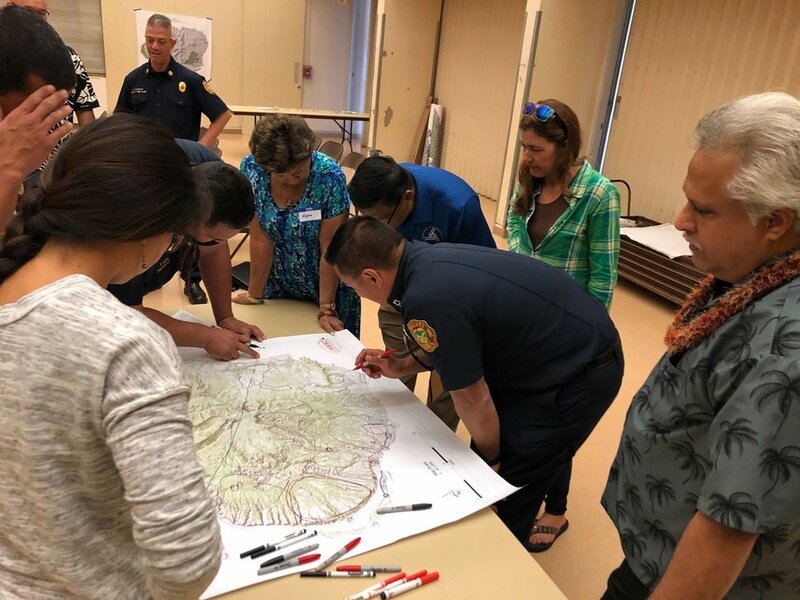 Prevent wildfires Smokey Bear sign in Waimea Canyon. 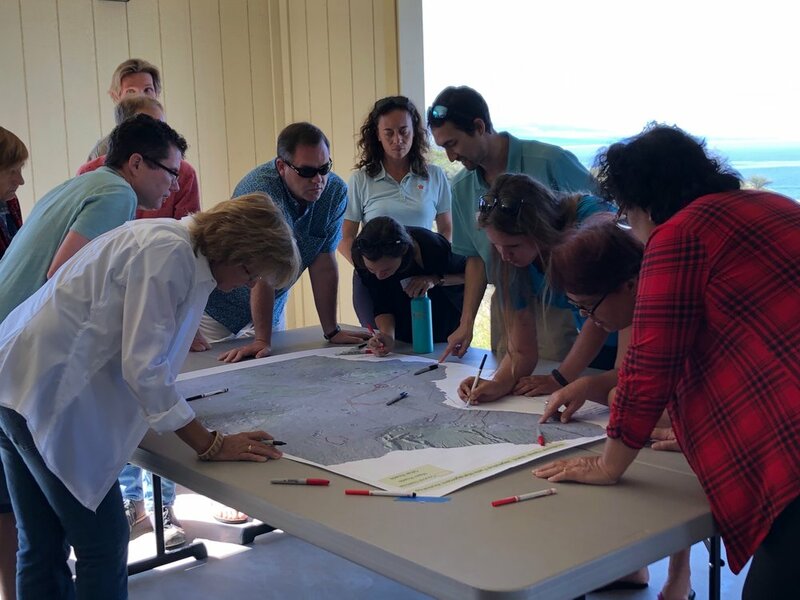 On November 20, we linked up with DOFAW and Grove Farm on Kauai for meetings to map current and desired vegetation management activities. 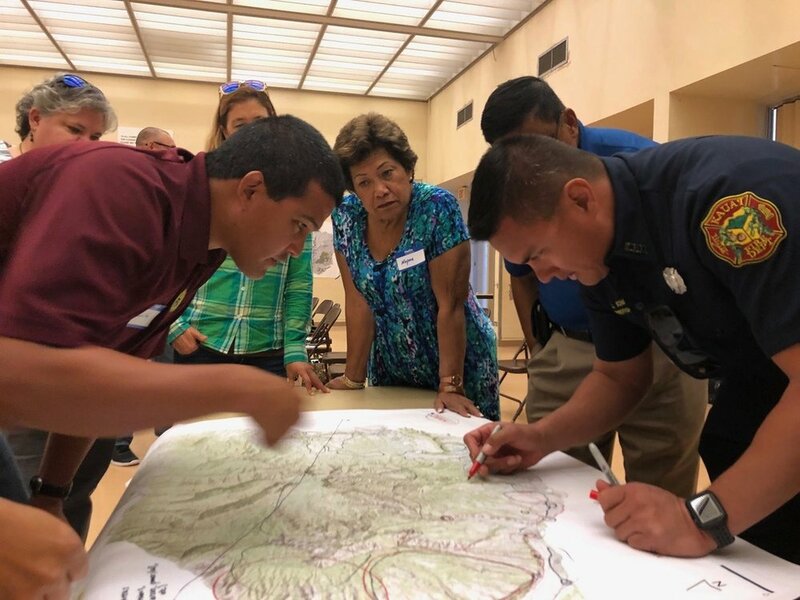 Activities could include any vegetation reduction or conversion projects such as roadside mowing, fuelbreaks, grazing rotations, clearing around structures or power poles, brush abatement or thinning, tree trimming, loi restoration, agriculture, and native forest restoration. 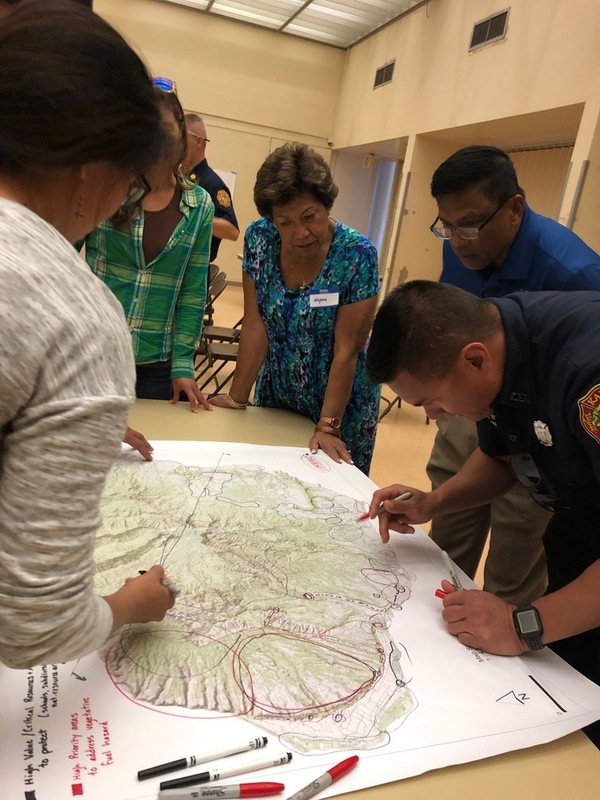 Overgrown flammable vegetation along roadsides in Makaha. 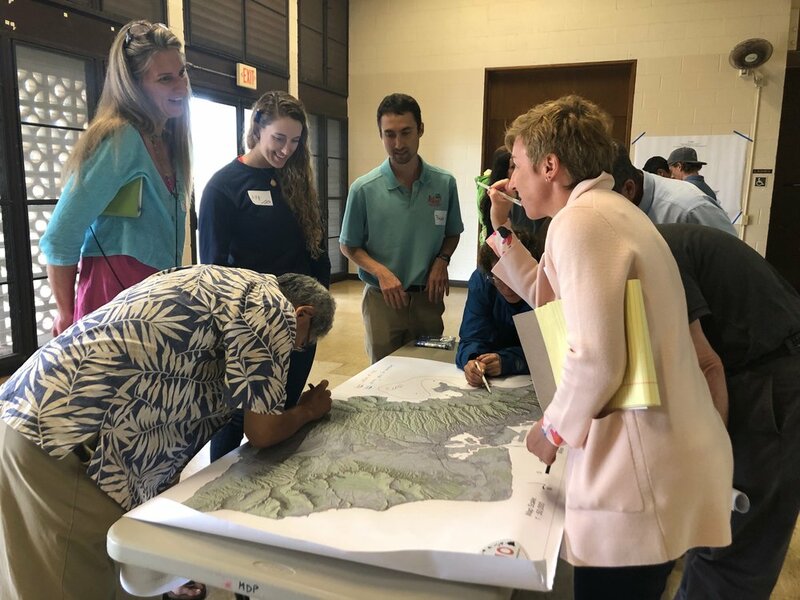 On October 18 and 19, Pablo Akira Beimler and Lele Kimball traveled to Oahu to meet with a variety of different large landowners to map current and desired vegetation management activities occurring on Oahu and Kauai. 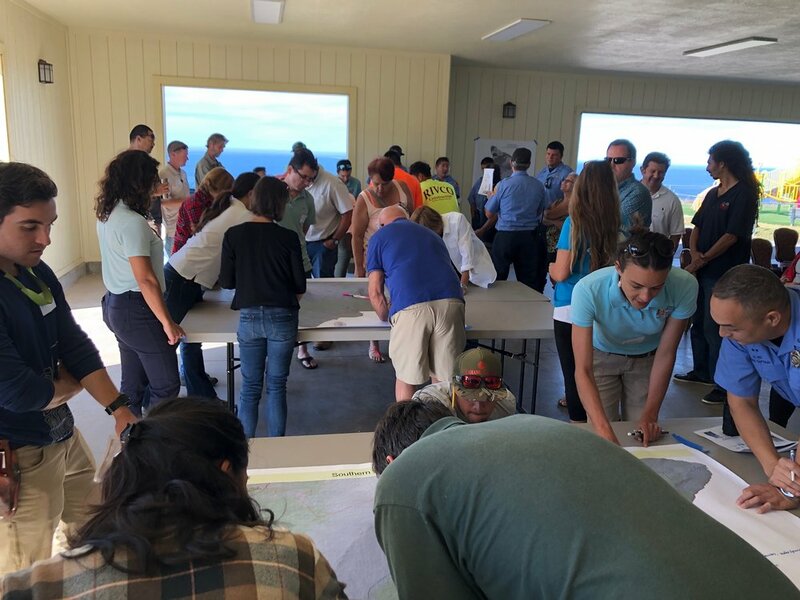 Activities could include any vegetation reduction or conversion projects such as roadside mowing, fuelbreaks, grazing rotations, clearing around structures or power poles, brush abatement or thinning, tree trimming, loi restoration, agriculture, and native forest restoration. 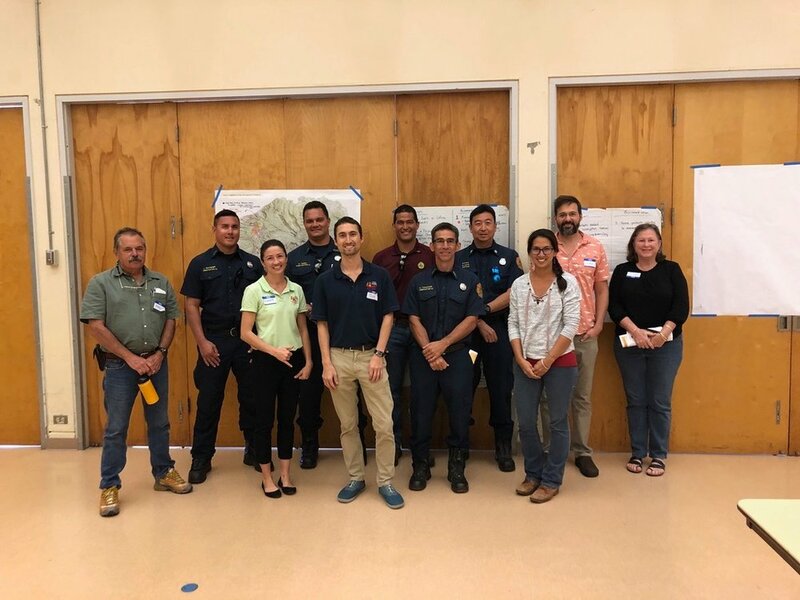 Mahalo to State Parks, Olson Trust, Agriculture Development Corp., DHHL, Honolulu County Facilities Maintenance, and Dillingham Ranch for taking time to meet with us for this very important project! 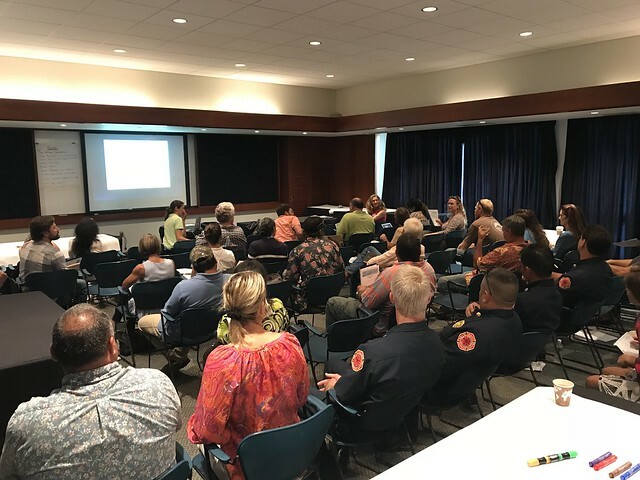 Full house for the workshop! 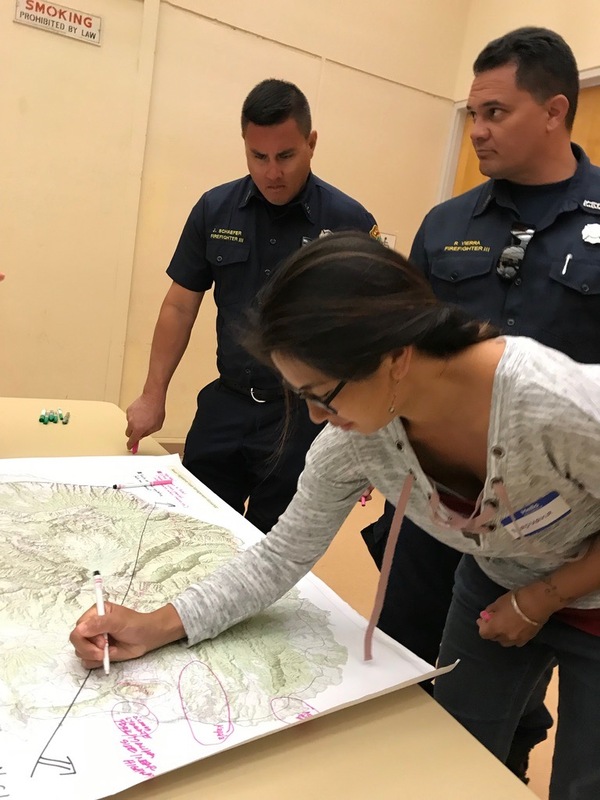 Marking areas of importance to protect from wildfires. 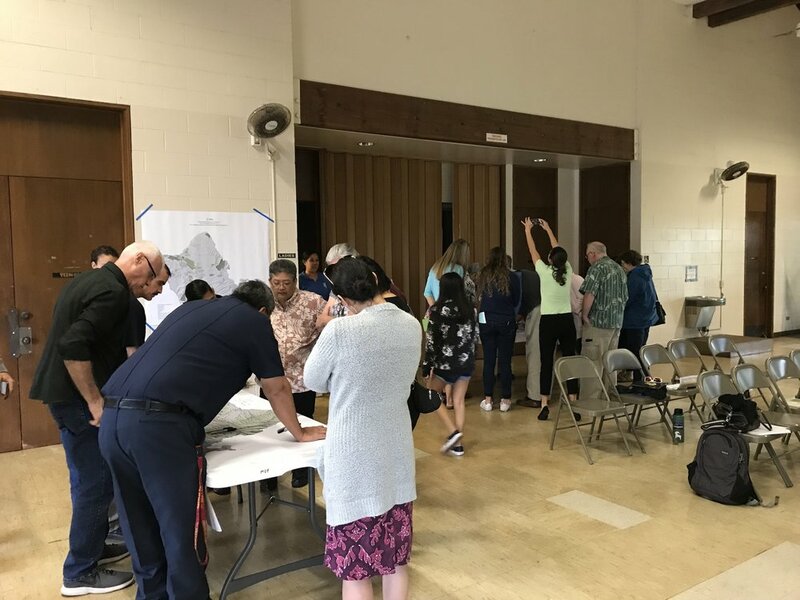 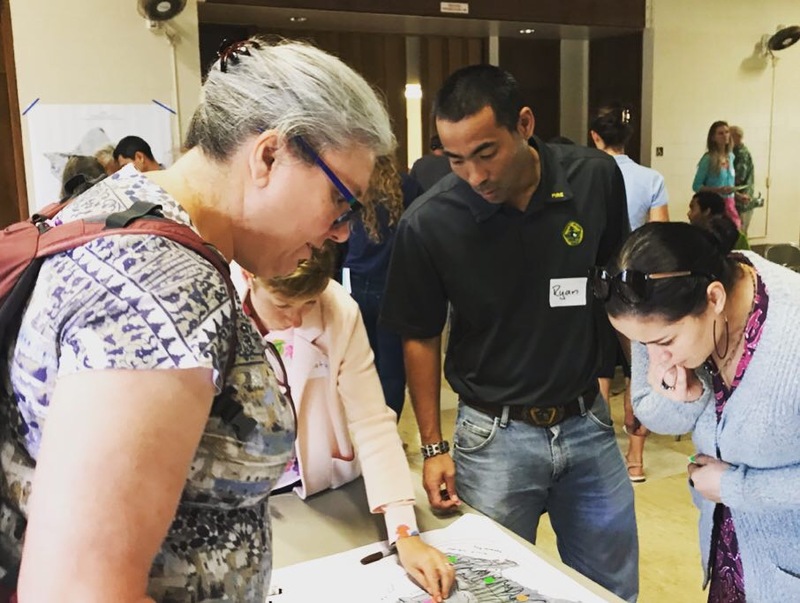 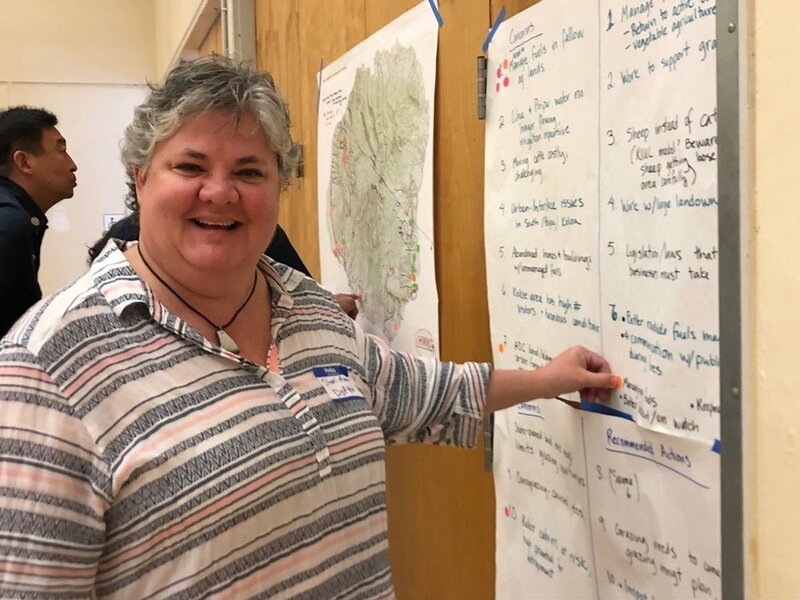 As part of the next phase of our groundbreaking project, we held a collaborative action planning workshop at the Maui Arts and Culture Center in Kahului. 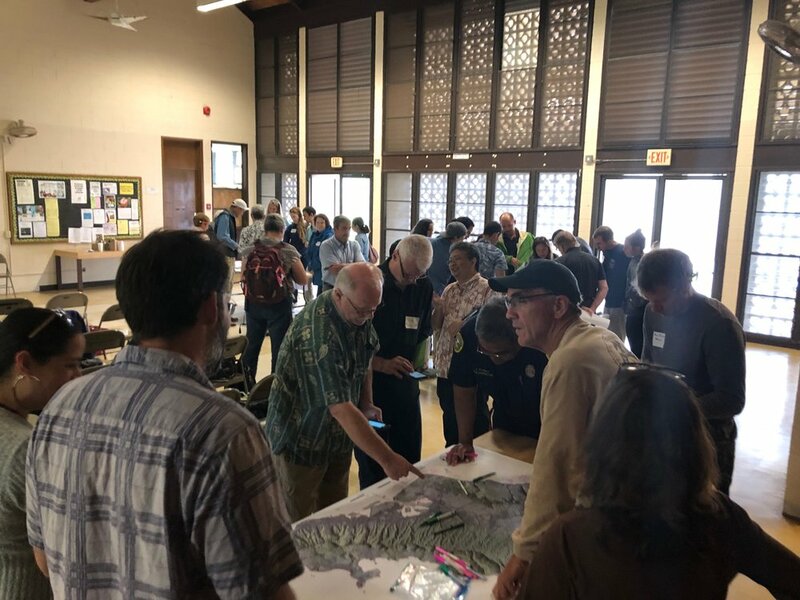 Nearly 50 participants representing a wide variety of fields and backgrounds came together to discuss what future landscape-level vegetation management projects could be on the horizon. 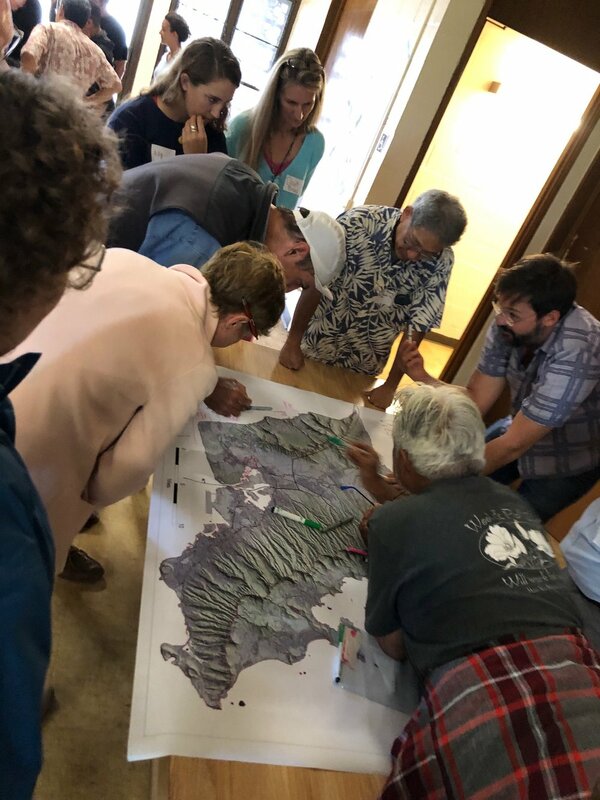 During breakout group sessions, teams of people circulated to different tables to highlight key areas for protection, helping inform us on the top priority areas for the last part of the workshop: outlining actual project ideas. 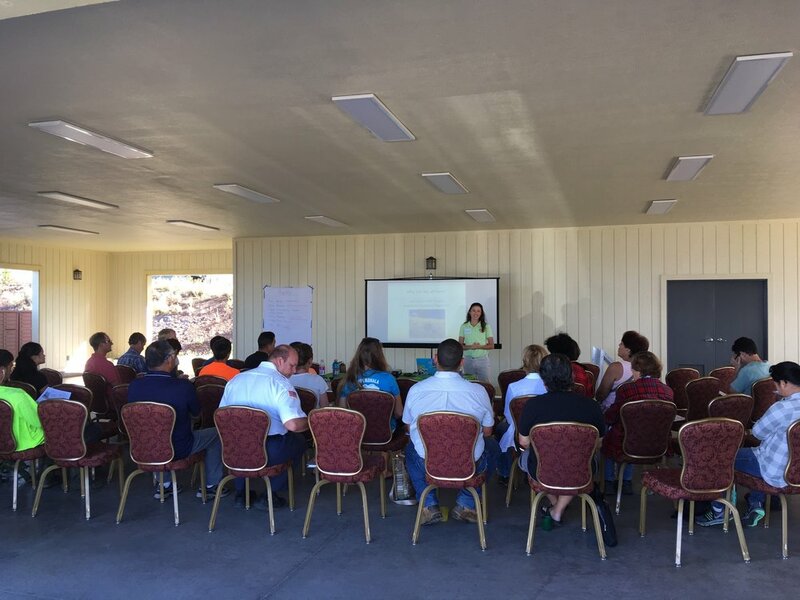 Additionally, and possibly more importantly, many people were able to meet new faces, share ideas, and became new work partners. 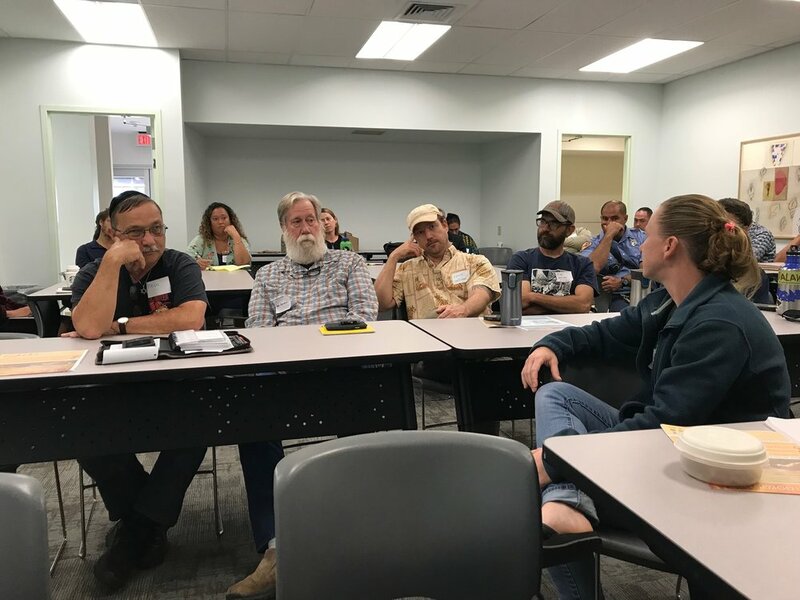 HWMO truly is a hub! 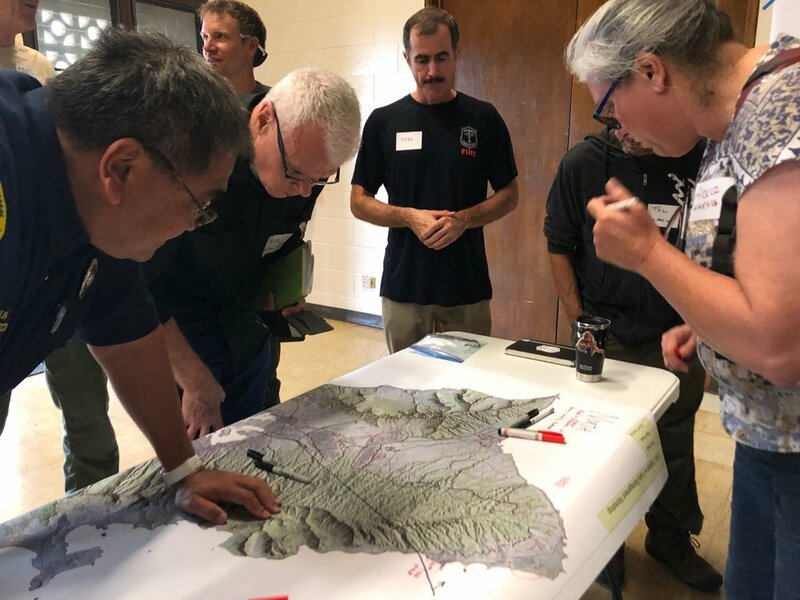 Mapping with KAA members, Navy, and Kauai Fire Department on the west side of Kauai. 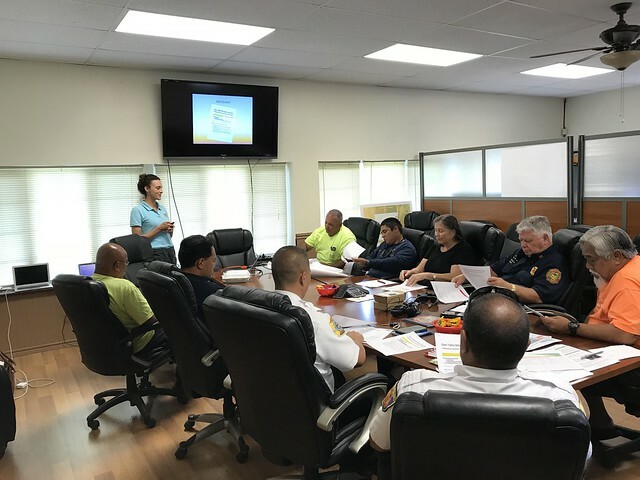 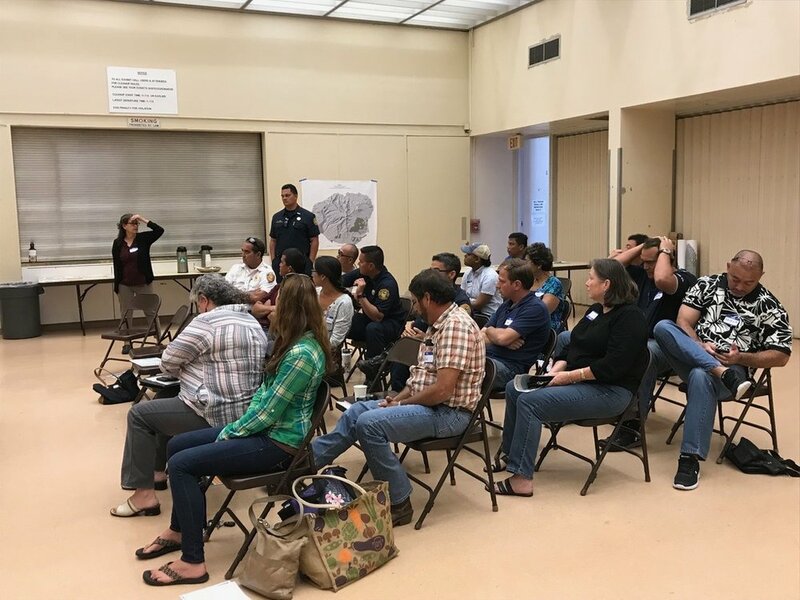 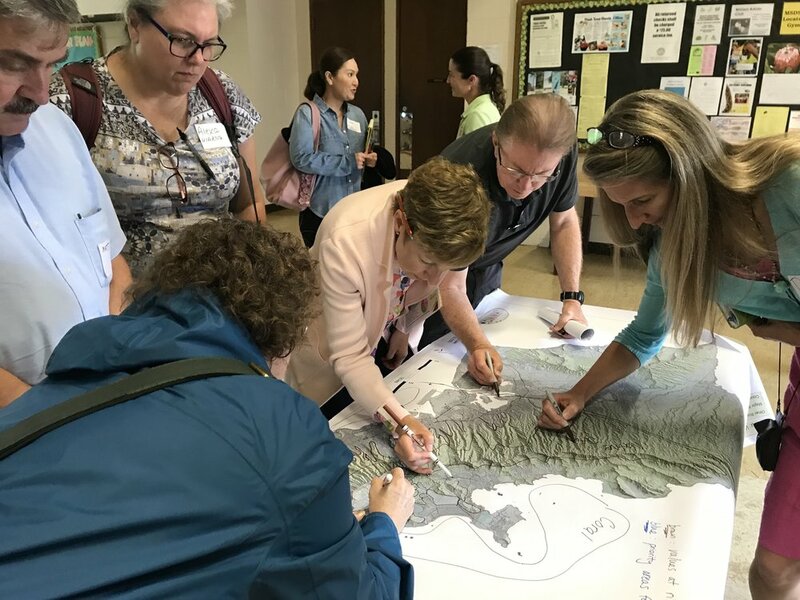 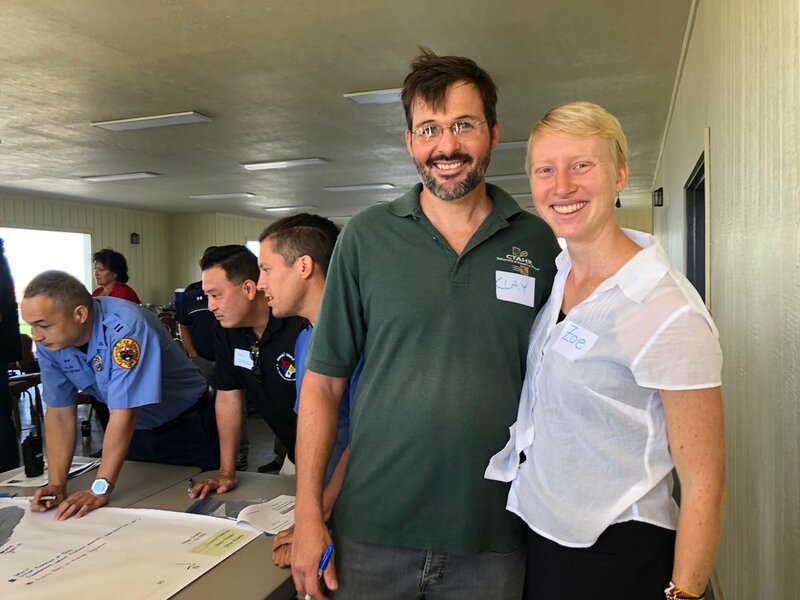 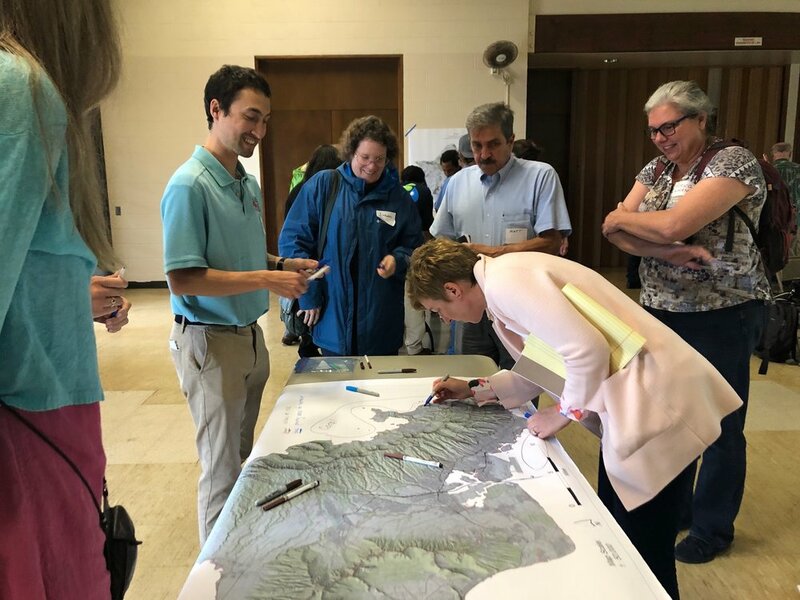 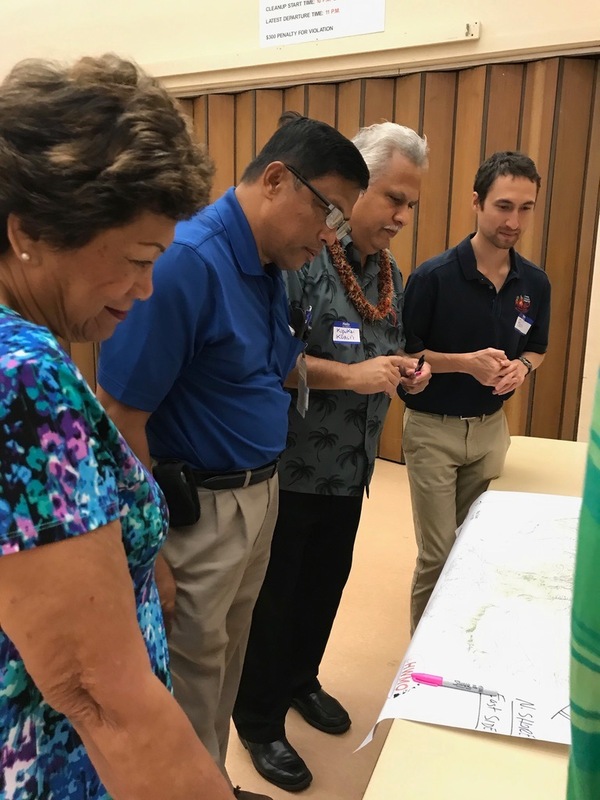 On September 26, we partnered with Kekaha Agriculture Association for a workshop to map current and desired vegetation management activities in Kekaha on the west side of Kauai (where most of the island’s most devastating wildfires have occurred). 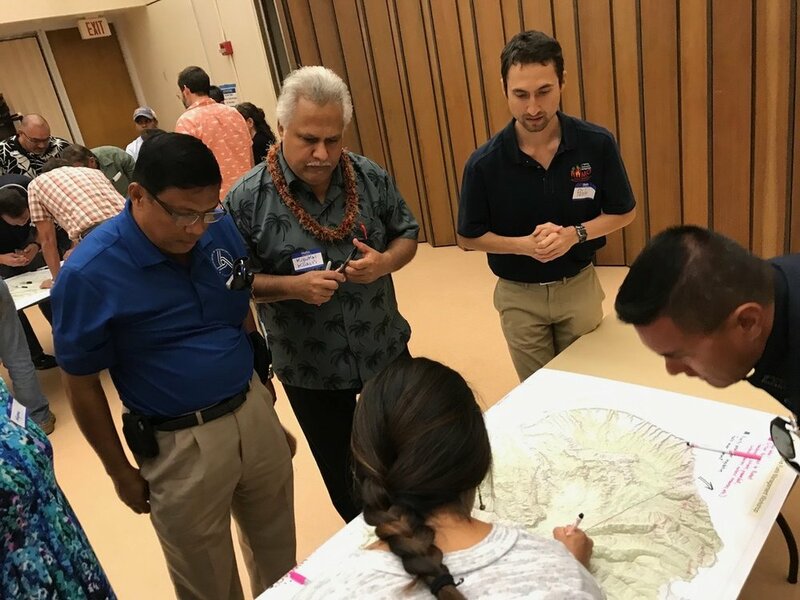 Activities could include any vegetation reduction or conversion projects such as roadside mowing, fuelbreaks, grazing rotations, clearing around structures or power poles, brush abatement or thinning, tree trimming, loi restoration, agriculture, and native forest restoration. 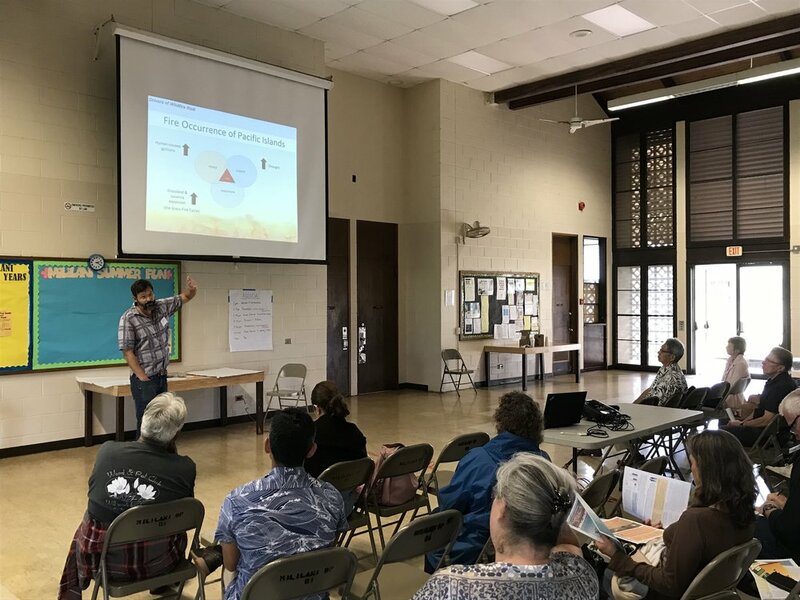 Mahalo KAA for hosting the workshop and for participating in this critical project! 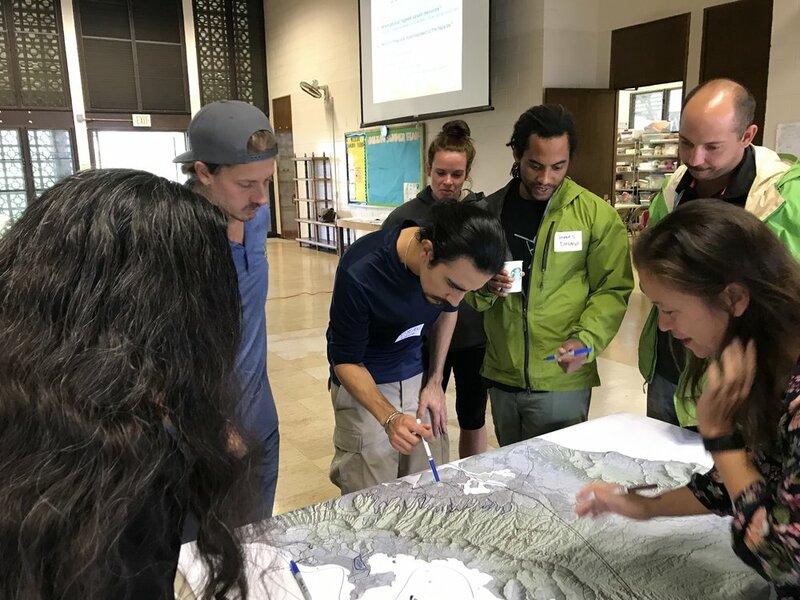 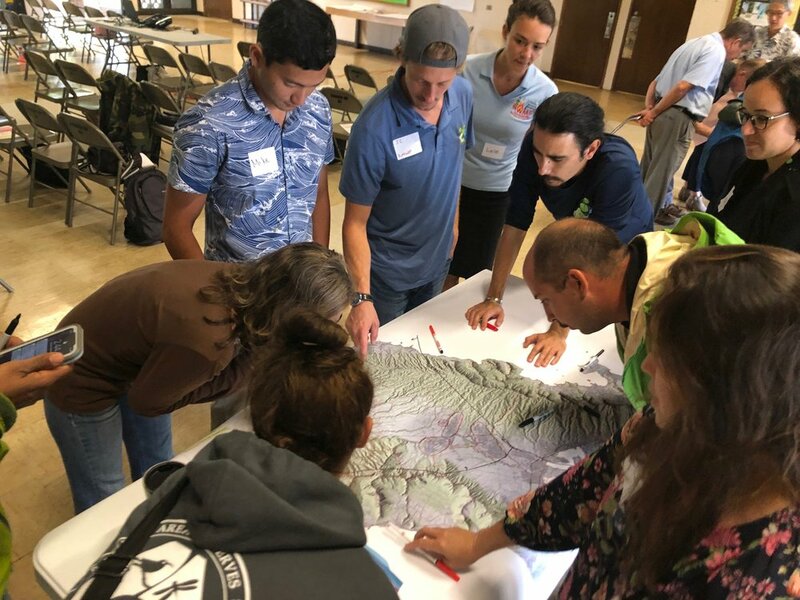 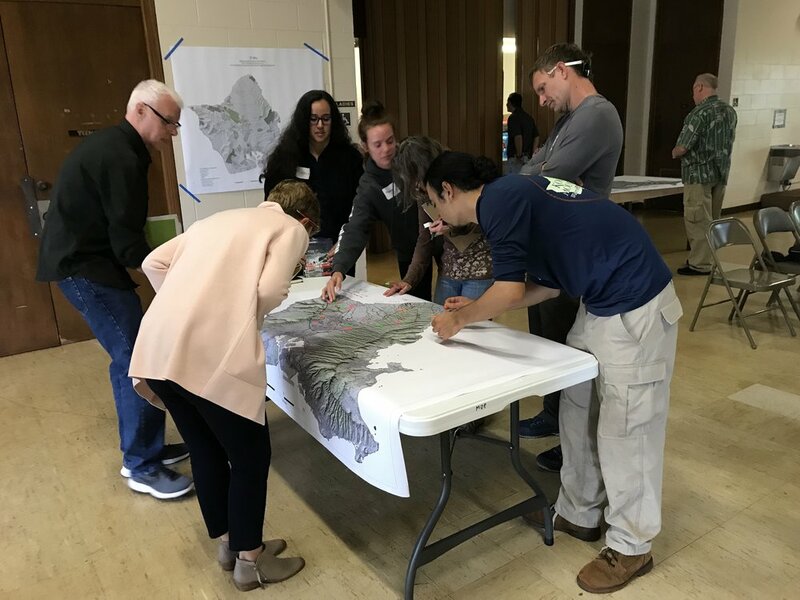 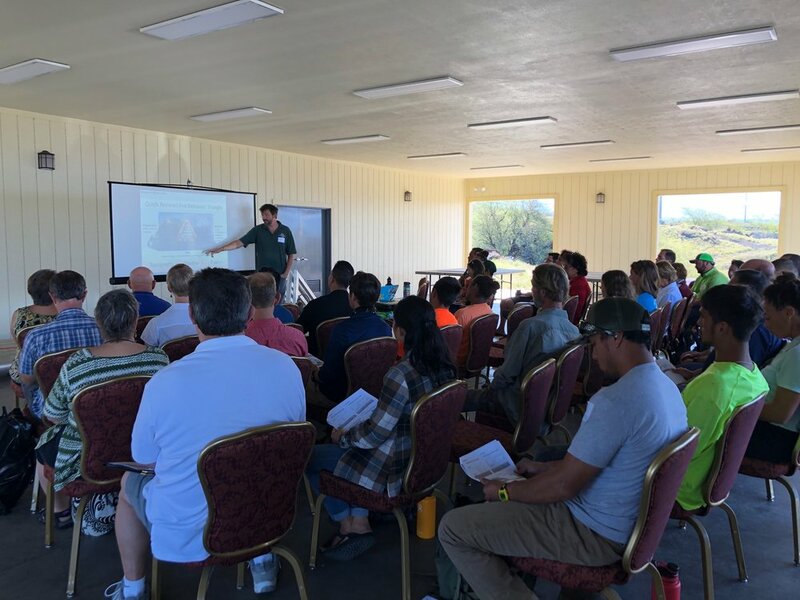 On September 25, we joined up with DOFAW and Waianae Mountains Watershed Partnership (WMWP) for back-to-back workshops to map current and desired vegetation management activities on Oahu. 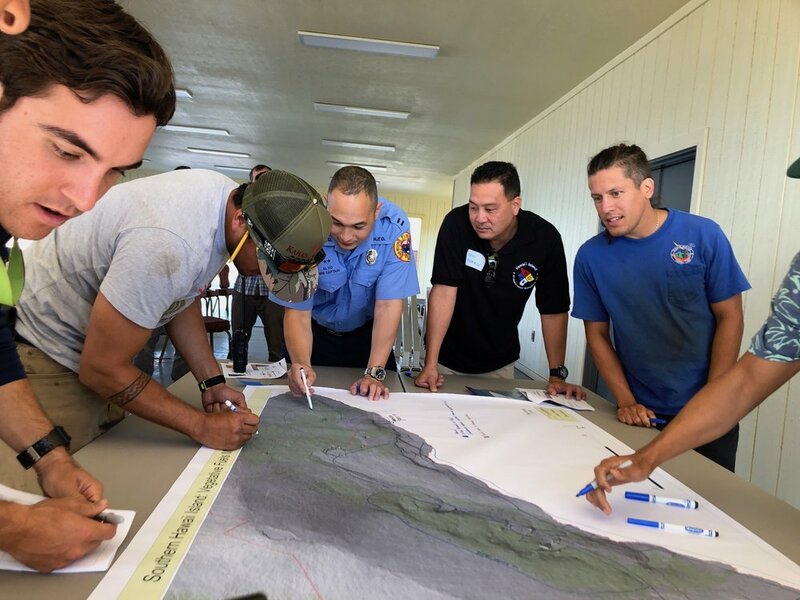 Activities could include any vegetation reduction or conversion projects such as roadside mowing, fuelbreaks, grazing rotations, clearing around structures or power poles, brush abatement or thinning, tree trimming, loi restoration, agriculture, and native forest restoration. 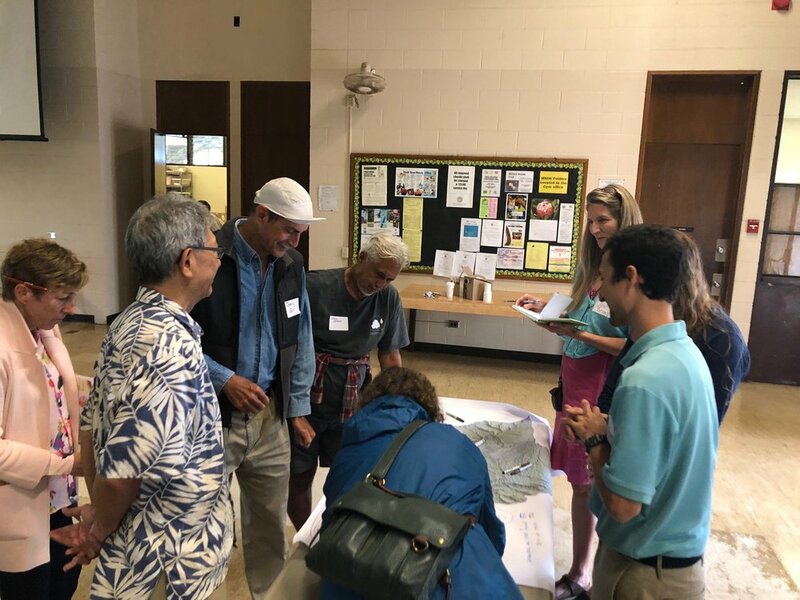 The workshop took place at the DOFAW Makiki office at the foot of the beautiful Makiki Valley.